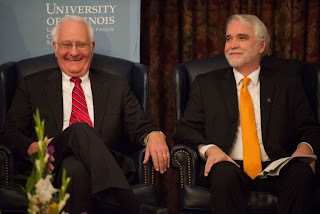 Tomorrow the new president of the University of Illinois, Timothy Killeen, will take office. I'll be syncing up my Facebook and Twitter accounts to live-tweet his first Town Hall on the Urbana-Champaign campus tomorrow afternoon. For once, I'll be trying not to be snarky--there's too much at stake. 1. What steps will UIUC take to lift AAUP censure, should it be imposed (as seems likely)? 2. 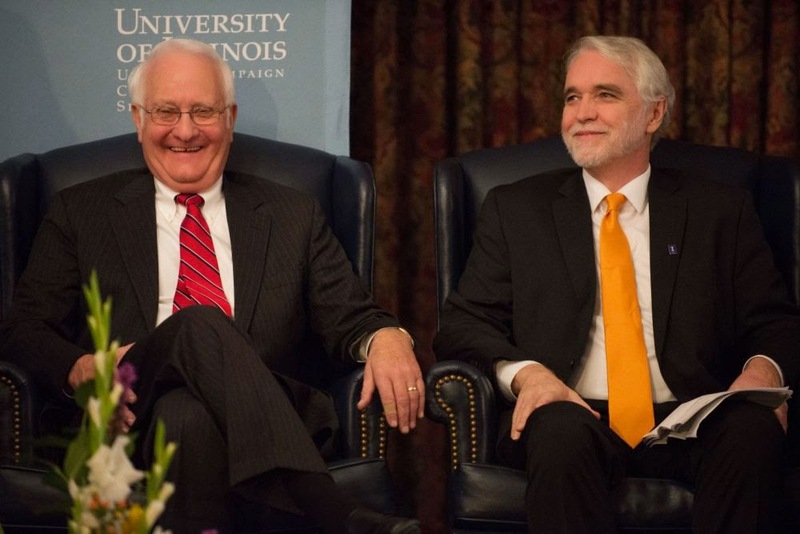 How will President Killeen and his leadership team restore confidence among the sixteen academic departments at UIUC that voted "no confidence" in Chancellor Wise and the U of Illinois leadership in the wake of the Salaita "un-hiring"? 3. What should be the role of the liberal arts at the University of Illinois in the future? Had L'Affaire Salaita not happened, chances are few people would come to this Town Hall in a spirit of genuine curiosity spiked with fear, least of all a minor academic functionary like me. This transfer of leadership would happen, as so many do, in a cloud of meaningless bureaucratese. The future of the liberal arts faculty would be--as it always has been--underfunded, beleaguered, tarnished, yet secure. What is a university, after all, without its trivium? Things have changed. Boycotts? Angry meetings? International scholarly outpourings of outrage? Senate committee reports? Votes of no confidence? It turns out to have been the theater of irrelevance. It's not just that Salaita hasn't been hired--it's that the administration has not engaged substantively with the faculty concerns that administrative actions have provoked. When Chancellor Wise called AAUP censure a "bump in the road," her rhetoric horrified liberal arts faculty. But perhaps she was simply riding the wave that makes it so. At an institution where "excellence" is often code for "able to attract grant funding and entrepreneurship," the humanities may have already been shut out of this conversation. Does "a world-class education that students can afford" and "what you can be truly excellent at" include the liberal arts departments for which L'Affaire Salaita was a body blow? That's the question I'll really be listening for the answer to. Considering the heritage of the University as a Land-Grant institution what is the core mission of the University of Illinois? Please identify the core constituency that it is intended to serve?